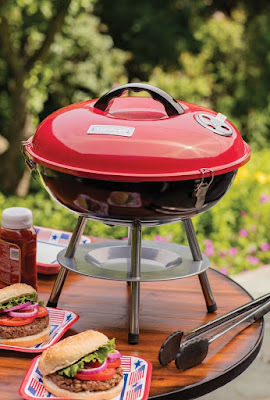 HURRY over to Amazon.com where you can score this Cuisinart 14″ Portable Charcoal Grill in red for ONLY $18.32 (Retail $39.99)! This portable charcoal grill features a 14″ chrome-plated grill surface with over 150 square inches of cook space. Plus, it had three lid-locks for easy transportation – perfect for tailgating or block parties!